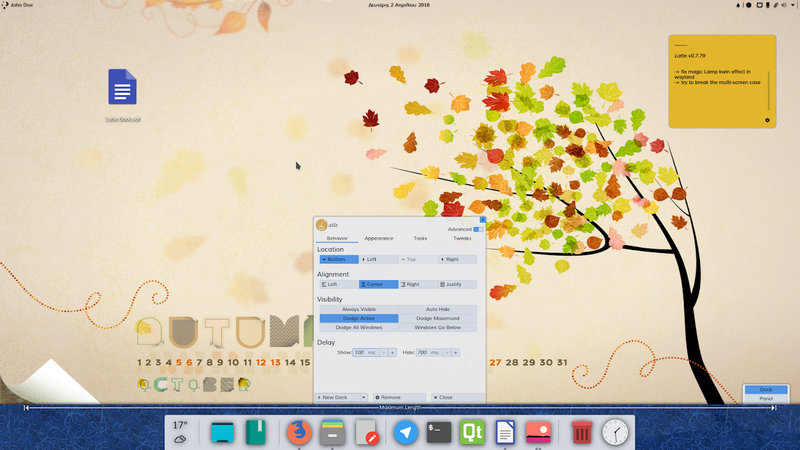 Hello everyone Latte Dock v0.7.96, the final beta of v0.8 is here. To use it you should build it yourself from download.kde.org or ask your distro packagers to provide it for you. This version introduces a string freeze for upcoming v0.8 that is scheduled for July 16th. All kde translators that are interested to include their translations in upcoming v0.8.0 they must use the stable branch of Latte.